Earlier in her career, Karen Rhorer was rising through the sales ops leadership ranks and working with her team to come up with an aggressive hiring plan, trying to reverse engineer the sales team capable of delivering the equally aggressive bookings numbers that their startup had set. At the time, this move seemed in-line with conventional thinking, which was steeped in hypergrowth and the triple triple double double double mantra that drove startups to sell more, faster. But that pressure to hit those top-line growth numbers created blinders that left one side of the equation out entirely: sustainability. Like many other companies, Rhorer’s startup didn’t realize early enough that the math wasn’t supporting the sheer amount of cash they were burning in a quest for growth. And just a few years later, it all came home to roost — and nearly 40% of the staff had to be laid off. Rhorer has carried the lesson from this cautionary tale forward, carefully avoiding a similar mistake in her roles that followed. With a career that’s stretched across consulting, finance and sales operations, she’s become one of the most structured and analytical sales leaders out there, able to craft growth and performance plans from big picture strategy right down to executing the very tactical details of implementation. She went on to successfully manage sales strategy and operations teams at LinkedIn as it integrated its acquisition of Lynda.com and expanded learning solutions in EMEA, and then moved into her current role as the customer success and sales strategy lead for Atrium, the latest venture from the co-founders of TalentBin. With the experience Rhorer brings to the table, it’s worth heeding her advice, especially when it’s cautionary. 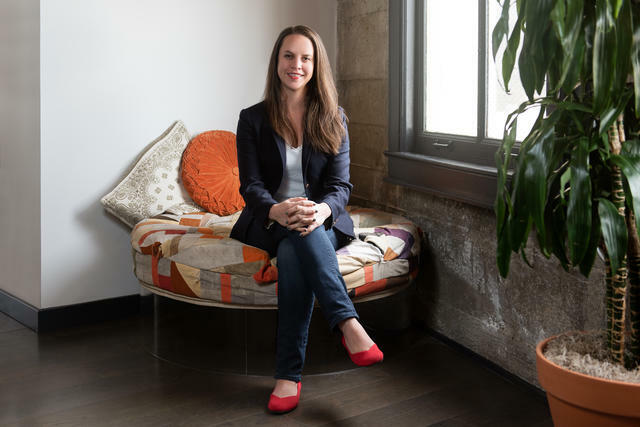 Because recently, she’s noticed the same warning signs that the growth-at-all-costs sales mentality is worming its way back through Silicon Valley as venture checks balloon and more competitors emerge. In this exclusive interview, Rhorer codifies what she’s learned about scaling sales hiring across her career, hoping to help other companies avoid the mistakes that she’s seen too many startups make. She shares how leaders can push past the pressures to spin up sales quickly by walking through the four levers for sustainable headcount planning and detailing the key calculations for avoiding a painful future of upside-down metrics that burn through cash. It’s a tale as old as time. Founders push sales orgs for growth to hit the numbers needed for the next round of fundraising. The ask stems from a need to show product/market fit in the form of revenue. With headlines of massive rounds being raised, founders feel that if they let up on the growth pedal, their competitors won’t. The first few sales folks are hired, and instead of that releasing the pressure it increases it. All of a sudden, plans are made to double or even triple the sales team as a sort of rush-order on revenue. A growth-at-all-costs mindset is a recipe for out of control burn and topsy-turvy unit economics. To check the engine light and see if it’s time to scale up the sales team, founders and sales operators need a clear view into the gears that drive sustainable growth. To that end, Rhorer has developed a detailed process with four steps leaders can use to pinpoint the right time to scale sales hiring — and make sure they aren’t setting their future selves up for a costly fall. Elevate your customer acquisition cost calculation. Customer acquisition cost (CAC) is an oft-cited metric to track, but there’s more to this calculation than meets the eye. In Rhorer’s experience, people usually miss the fully loaded cost of the sales and marketing efforts required to nab a customer. “Your sales people are not just their salary and commissions expense. There are also costs associated with benefits, management overhead and sales technology spend, in addition to everything on the marketing side. It’s important to include a G&A allocation that fully bakes in all of the true costs,” she says. 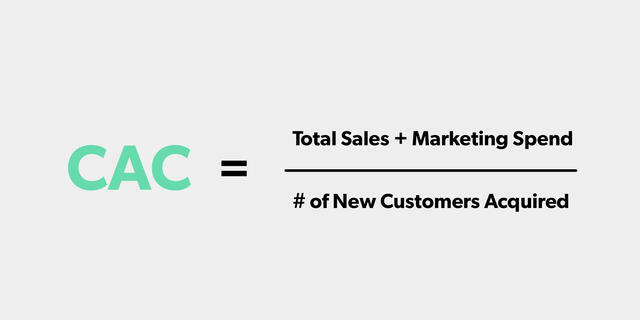 For a really basic estimate, look at the total amount of money that’s spent on sales and marketing and divide that by the number of new customers acquired in the last quarter. “Of course, if you have sales reps that are both winning new customers and renewing or upselling, I’d recommend figuring out the rough portion of time they’re spending on new customer acquisition and using that allocation to estimate the percent of total sales cost to include,” says Rhorer. 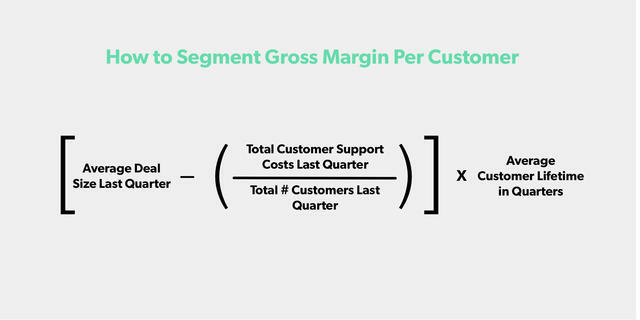 Calculate your customer lifetime value (including customer success costs). To ensure that user acquisition is profitable, startups need to run the numbers on how much these newly acquired users will be worth. Many have touted the power of customer lifetime value (CLV) as a funnel analysis tool and Rhorer sees it as an important lever to consider before pulling the trigger on sales hiring, provided that it includes a full accounting for customer success costs. Double-check that your ratios are reasonable. After calculating these figures, leaders should take stock to see if they’re on the right track. When it comes to keeping LTV and CAC in line, there are two general industry rules of thumb that Rhorer follows: aim for a CLV that’s at least three times CAC and pay back CAC in less than 18 months. If it’s taking a long time to pay back CAC, that should set off an alarm that the sales motion isn’t actually working. For the startups struggling to hit these key ratios, in Rhorer’s experience, it usually comes down to a mismatch between their go-to-market motion and the customers they’re going after. “If you have an SMB inside sales motion where average sales prices (ASPs) are a little bit smaller and the renewal rate for customers isn't quite as good, it’ll be harder to make the unit economics work if you're staffing a whole team against that customer. The margins just aren’t there and you need to be realistic about that,” she says. To help make all this number crunching easier, Rhorer has created a simple metrics calculator. Plug in your own numbers to calculate CAC and CLV, as well as confirm that the ratio and payback period are both on track. Factor in ramp for new hires. While it’s easy to get swept up in the trap of thinking that adding more salespeople will quickly boost growth, new hires clearly don’t walk in closing deals on day one. Every new AE will always be unprofitable in his or her first few months with the company, but Rhorer has found that many leaders fail to build that burn into their financial models. You aren't going to get an account executive to fully ramp productivity in two months. It's just not going to happen. On the other end of the hiring funnel, it’s important to pay attention to attrition rate as well. “You don’t want to end up in a situation where the AEs you’re hiring are never actually paying for themselves,” says Rhorer. “You have to address training, onboarding or retention issues before adding any extra headcount; otherwise it’s a leaky bucket.” Avoid this headache by spending the time upfront making sure you have the right people in these roles. “Make sure your hires actually want to be doing this job. One sales leader I know has candidates come in for a trial day that they get paid for before they’re formally hired. There’s a decently high drop off rate after that trial day, but it’s a great way to weed out those who aren’t serious,” says Rhorer. For Rhorer, the transition between sales development reps (SDRs) and AEs is a particularly important part of the sales cycle that requires tight and repeatable unit economics. New AEs need a predictable pipeline volume, so it’s key to put SDR productivity — and retention — under the microscope. Do you know how long it takes a newly hired SDR to reach full productivity? Are inbound SDRs converting marketing qualified leads (MQLs) to opportunities at a consistent rate? Are outbound SDRs generating meetings and sales-accepted opportunities at a consistent rate? Do you understand how many accounts an SDR needs to touch to generate a meeting? Once the system is firing properly, the sales cycles become predictable and SDRs are performing, the conversation quickly turns to career pathing. There’s an inherent tension here. Successful SDRs are often hungry and growth-minded — and not eager to stay in their role for longer than 12 months, despite the significant investment in their ramping period. It often seems as though as soon as success is achieved, SDRs are promoted and the cycle of ramping starts all over again on both ends. You’ll have a big management challenge if you only hire growth-minded SDRs. But if you hire none of those people, you won’t have an internal talent pipeline. Many startups take the time to understand where their pipeline is coming from today, but in Rhorer’s experience, not enough spend work out where it will come from tomorrow — and how a new legion of AEs will be fed with fresh leads. “People think that hiring sales people automatically leads to more deals, but inbound lead volume doesn’t scale as you hire new AEs. If you currently have five AEs and 50% of each of their pipelines came via inbound channels, then hiring an additional five AEs means that you will have 10 AEs with 25% of their pipelines coming from inbound — unless you get marketing to commit to delivering more leads. It’s almost entirely independent of how many AEs you choose to hire,” she says. The final step in assessing readiness for scaling sales hiring involves looking at the part that comes after the sale. Of course, bringing AMs and CSMs on board generally leads to much lower customer churn rates, but there are significant costs involved in supporting that. “That's why all the math is there. If you’ve got support costs in your LTV, you can make sure that the decision to have them is worth it,” says Rhorer. “When you’re thinking about stepping up your sales hiring, you need to think through how that will impact your current customer operations. How many accounts does each of your AMs or CSMs cover? Are they at capacity?” says Rhorer. Just as you want to make sure the AEs will be “fed” before you hire them, have a plan to care for customers before you acquire them. While hitting the sales-fueled growth button may seem like an appealing shortcut to the revenue numbers investors seek, founders should take the time to understand and fine-tune their sales motion before spinning up a full-blown sales team. Understand your unit economics by calculating CAC and LTV, breaking out customer segments and more tailored costs for a more advanced approach. For sustainability’s sake, make sure LTV is three times CAC and aim to pay back CAC in less than 18 months. Build ramp time for new hires into your model and set up checkpoints to evaluate their success and ensure everything’s on track. Consider creating an intermediate promotion point for hungry SDRs and hire the right mix of superstars and rockstars to keep your sales talent pipeline stable. Feed AEs by backfilling SDRs who get promoted and matching your SDR to AE ratio to your sales cycle. Finally, don’t forget about customer success’ impact on LTV. Think through how any changes will affect churn and make sure AMs and CSMs are hired in line with AEs.